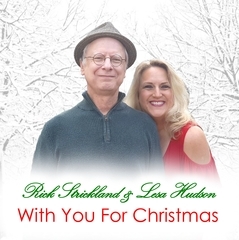 Well known for excellence in songwriting, singing, musical artistry, originality and high energy performances, singer/songwriters Rick Strickland and Lesa Hudson captivate audiences of all ages with stories of life, love and other mysteries through their award winning original music. As a fan recently summed up, “Rick & Lesa’s songs give me the words my heart is longing to say.” Connecting to their audiences in such a personal and intimate way is the motivation and passion behind this duo’s artistry. And that’s why it’s very common that fans will travel hours to catch their shows. Rick and Lesa’s music touch the soul, and will take you on a journey that will make you laugh, cry, shamelessly sing out loud, dance like no one’s looking, and maybe even fall in love all over again! 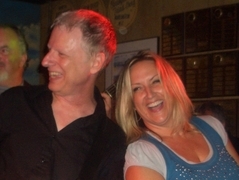 Rick & Lesa’s music is best described as a soulful and eclectic blend of musical influences. As songwriters, Rick & Lesa do not pigeon hole themselves into one genre or style; rather they focus on creating music that will strike a chord with true music loving audiences, much like some of their musical heroes. As a child, Rick’s Mother introduced him to a broad range of music from Southern Gospel Quartets to Big Bands to Broadway to Country. But it was The Beatles, Todd Rundgren, Stevie Wonder and Brian Wilson to name a few who captured his young imagination and sparked his passions for songwriting and performance excellence. Rick was also intrigued with their vocal harmony arrangements, as evidenced in his harmony rich music. As far back as Lesa can remember, there was always music in her home growing up. 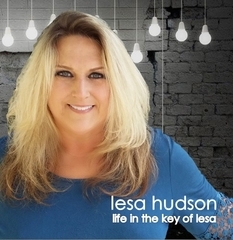 From Bill Gaither albums to her sisters’ 50’s and 60’s music to her brother’s 70’s rock music, Lesa was influenced by a little bit of everything music wise. Her own musical favorites such as piano greats Billy Joel, Elton John, and country favorites Wynonna, Shania Twain and pop duo Hall & Oates, add a broad range of influences to her music. 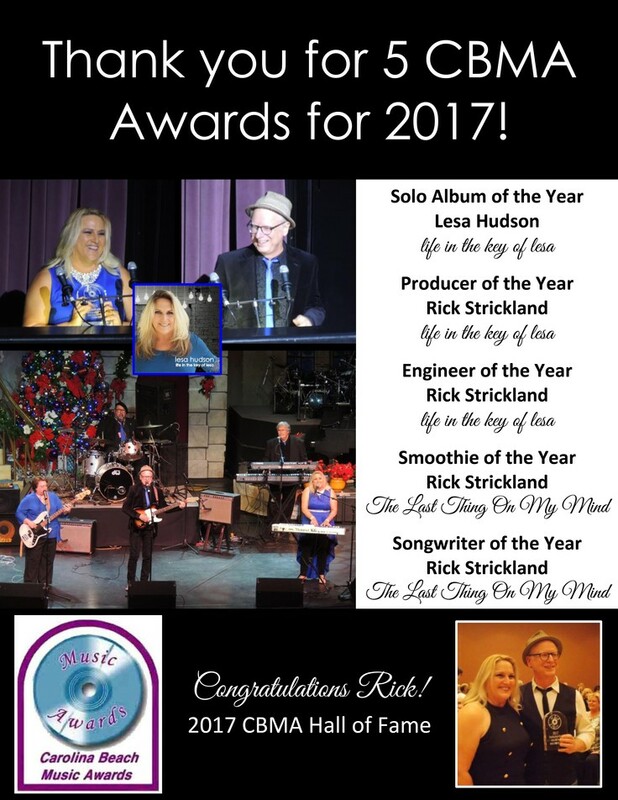 Rick and Lesa’s collective resume is impressive, having performed with international recording acts including Billy Joe Royal, Joe South, The Shirelles and Ray Stevens, and have performed at some of the nation’s most legendary venues. 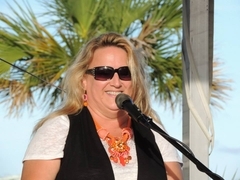 Their music has received numerous awards including 18 #1 songs on Carolina Beach Music radio, 15 CBMA Awards and 4 songs in the Top 10 on Inspirational Country Music radio. Rick’s a cappella hit “She Can't Fix Grits,” was the most requested song for 2 years on The John Boy and Billy Big Show. And his songs “Something Smooth” and “She Can’t Fix Grits” are now considered bonafide Carolina Beach Music classics. Their music is radio friendly and receives radio airplay worldwide. 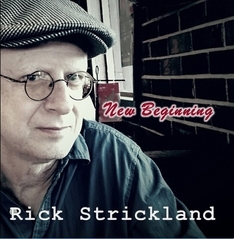 Some folks may recognize Rick and Lesa as artists who perform with the popular South Carolina based band, The Rick Strickland Band (RSB). 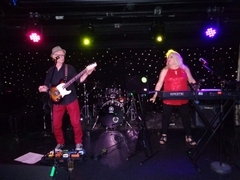 Rick & Lesa joined together as a songwriting and song producing team in 2009 when they formed RSB, and continue to perform their original music throughout the Southeast at festivals, concert series, clubs, house parties, songwriter events, corporate events and private events.